Thought about booking a Gustavus vacation package? It's simple with Expedia, and you'll be able to buy some nice dinners or presents for your friends back home with the money you save. Savings of up to C$590* are available to those travelers who book a package deal on Expedia. In a matter of minutes, you can arrange everything you'll need for your next vacation through our enormous database. And — with more than 400 partner airlines and 321,000 properties from all around the world, you'll have the flexibility to pick and choose! Feel free to cancel or make changes to almost any hotel reservation and you won't pay a cancellation fee to us. It can be really nice to just wander the streets in a new place, but sometimes it's wise to make a plan. Grab your schedule — we have loads of awesome ideas for your upcoming Gustavus vacation. Slip on your khakis and pick up your lucky putter. If you're eager to head outdoors for a day out on the green, secure a tee time at Mt. Fairweather Golf Course. There's a wonderful range of things to do in this destination. Love to have some fun on the water? Then slap on the suntan lotion and dive into some awesome water sports at Fish Alaska Charters. Still got time on your hands? Of all the paths you take in life, make sure at least a few are dirt! So slip into those boots, take out your water bottle and enjoy the walks of Nagoon Berry Trail. Haven't secured somewhere to stay yet? Gustavus only has 2 options, and the very best packages for luxury getaways and cheap vacations get snatched up quickly. 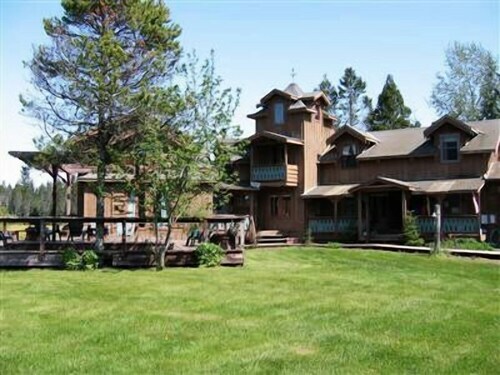 The Glacier Bay Country Inn (35 Tong Road) and the Gustavus Inn at Glacier Bay (1 Mile Gustavus Road) are popular with travelers. Gustavus Airport (GST) is located 3 miles (5 km) east of downtown Gustavus. Pull your bags off the carousel, call for a taxi and let the adventure begin! Share this vast Alaskan wilderness of blue-green glaciers with brown and black bears, mountain goats and migrating whales. 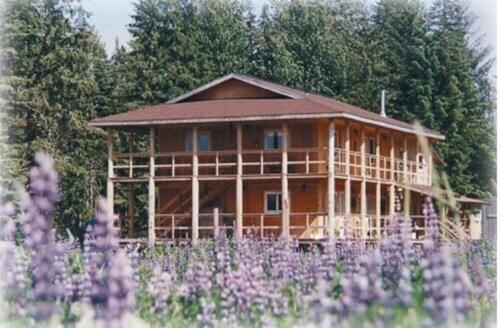 Situated on the waterfront, this bed & breakfast is 0.1 mi (0.1 km) from Glacier Bay and within 3 mi (5 km) of Nagoon Berry Trail and Mt. Fairweather Golf Course. 1957 Gustavus Plane Crash Site is 2.4 mi (3.9 km) away. Situated in Gustavus, this bed & breakfast is 0.1 mi (0.1 km) from Glacier Bay and 2 mi (3.1 km) from 1957 Gustavus Plane Crash Site. Nagoon Berry Trail and Mt. Fairweather Golf Course are also within 6 mi (10 km). 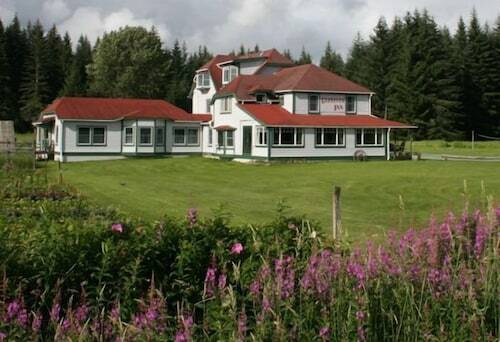 Situated by the ocean, this bed & breakfast is within 1 mi (2 km) of Glacier Bay, Nagoon Berry Trail, and Mt. Fairweather Golf Course. 1957 Gustavus Plane Crash Site is 2.9 mi (4.6 km) away. Fri., 10 May - Tue., 11 Jun.